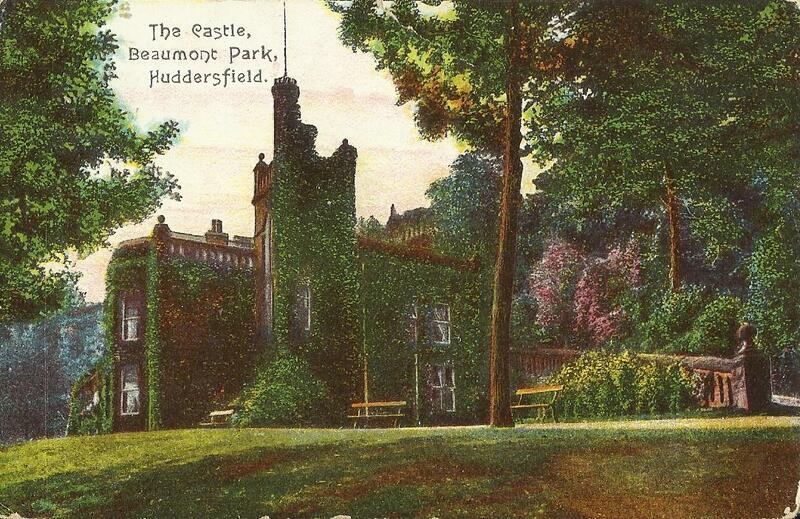 The Castle was a tea room in Beaumont Park but very little remains of it today. 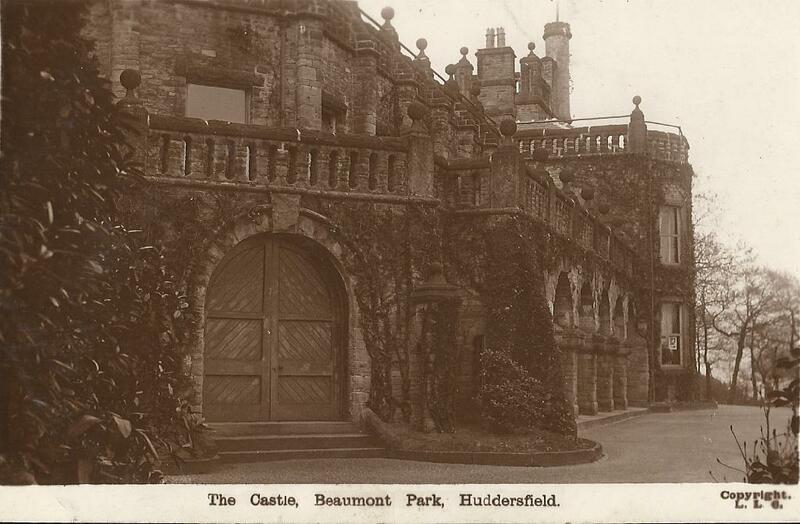 The entrance to Beaumont Park was from a railway station nearby but with over 200 steps to climb people found it easier to walk from Huddersfield rather than use the train. Castle Hill at Almondbury is the site of an Iron Age hill fort. 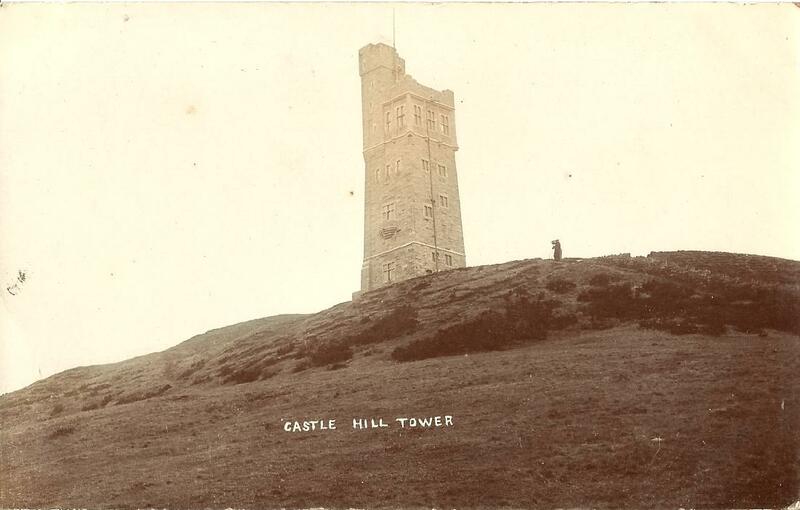 Victoria Jubilee Tower was designed by Isaac Jones of Herne Hill, London, and built by the firm Ben Graham and Sons of Folly Hill, Crosland Moor, at a cost of £3,298. 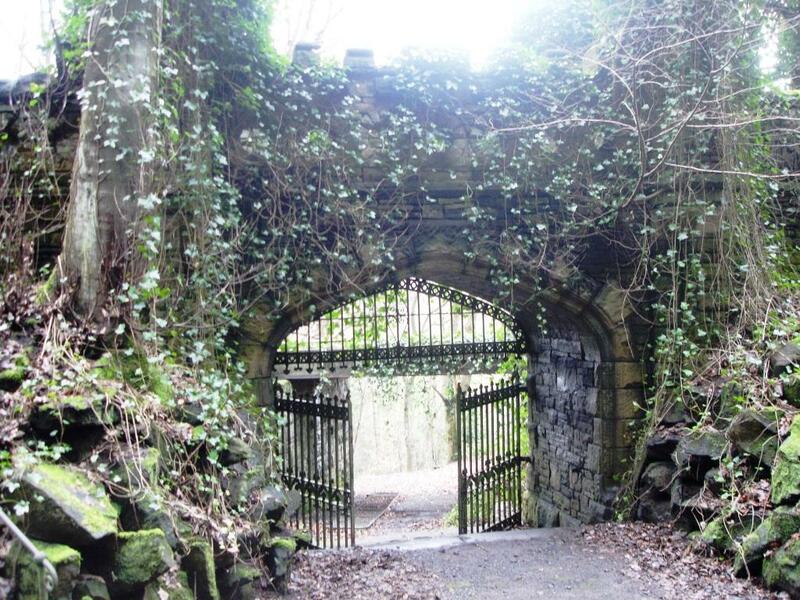 It was opened in 1899 by the Earl of Scarborough. The alternative suggestion to commemorate the Queen's jubilee was a Free Public Library. It is 106 feet high, which makes the top 1,000 feet above sea level. The benefit of his native village in 1902. Edgar Wood was married to a Sykes.